Just outside Port 305 restaurant, this couple said their I do’s in a beautiful outdoor gazebo. 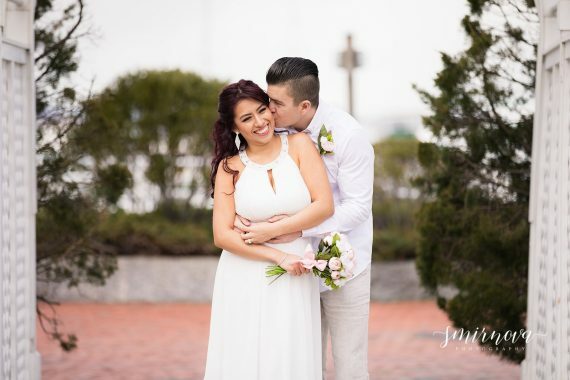 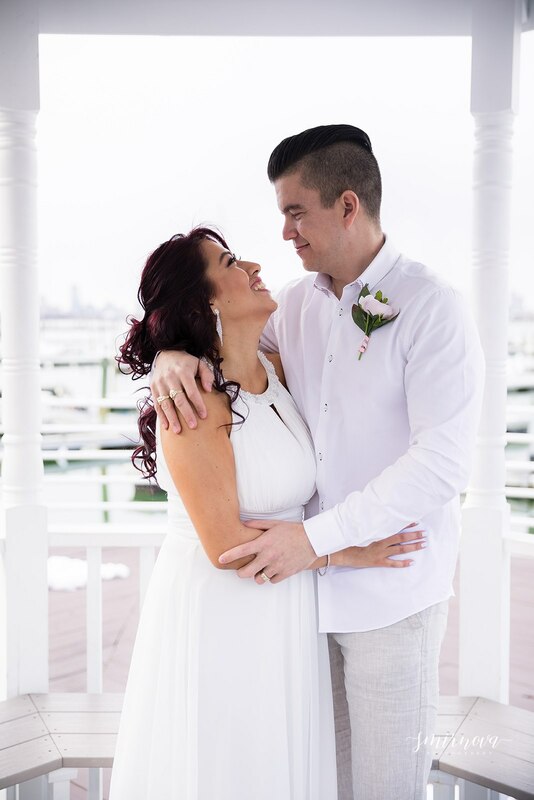 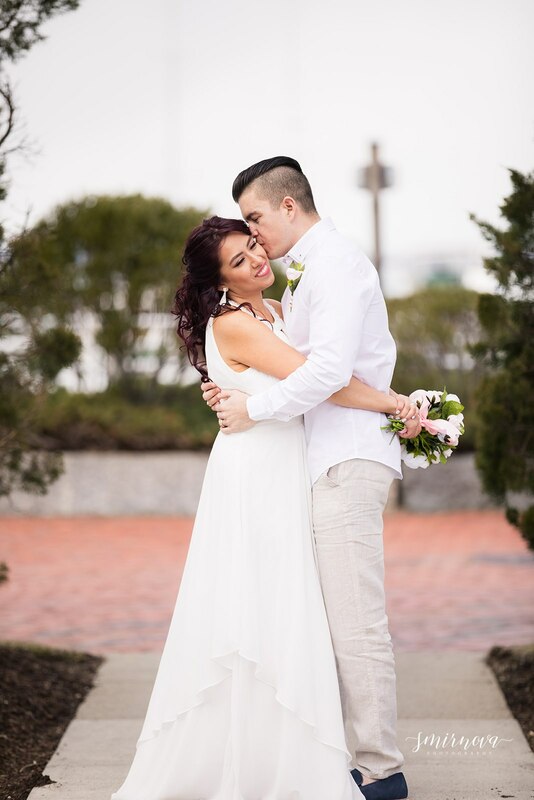 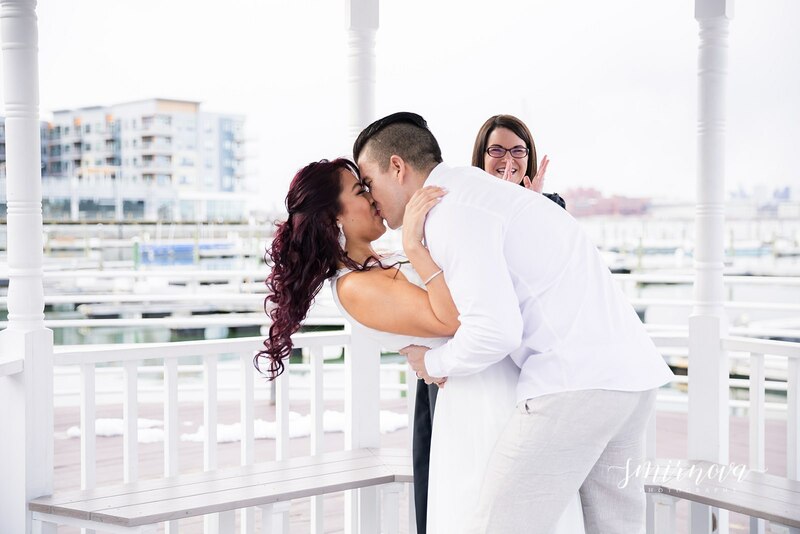 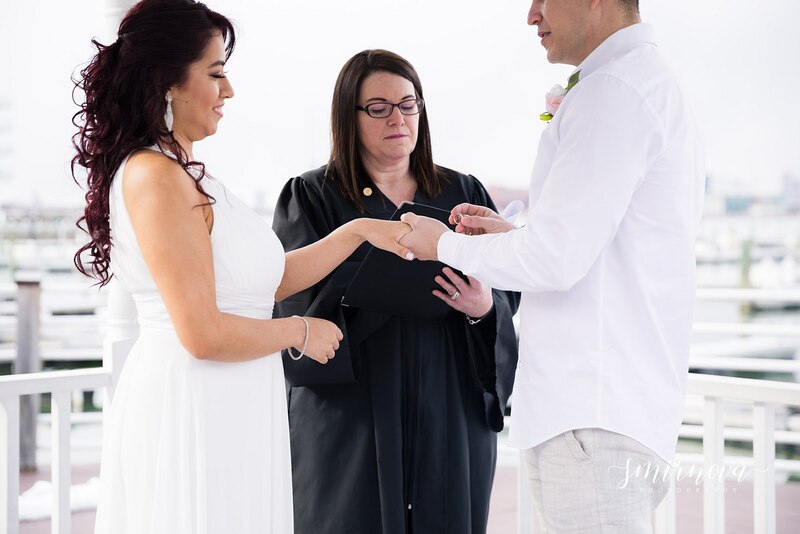 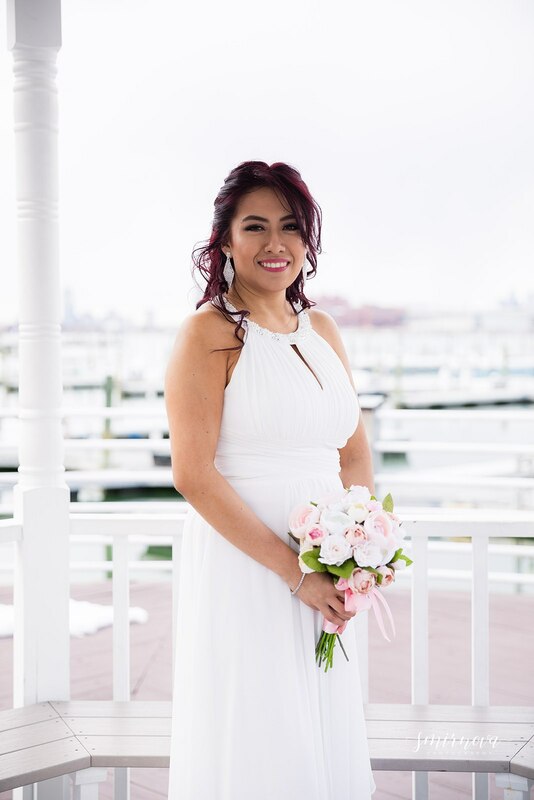 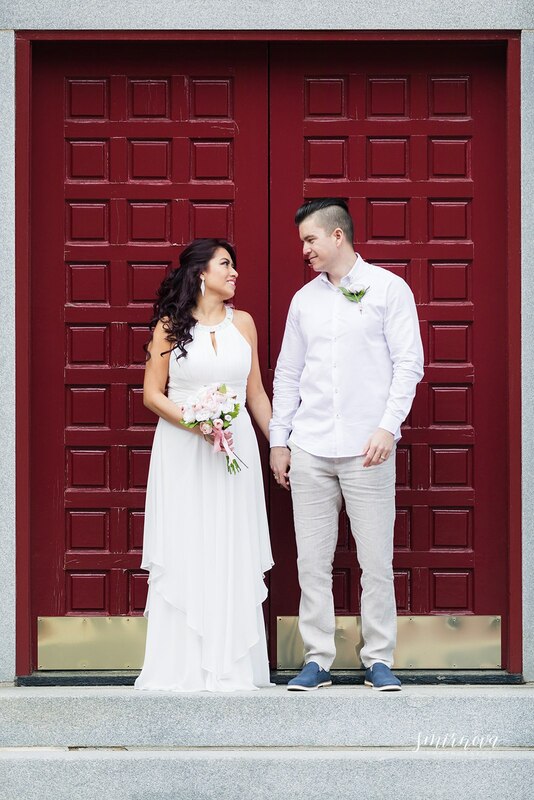 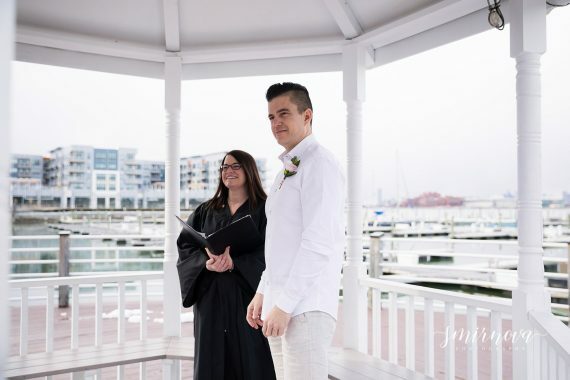 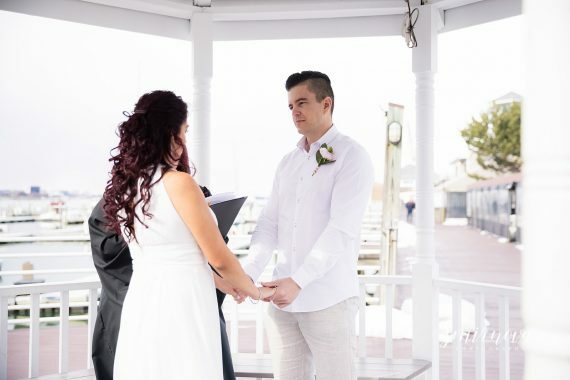 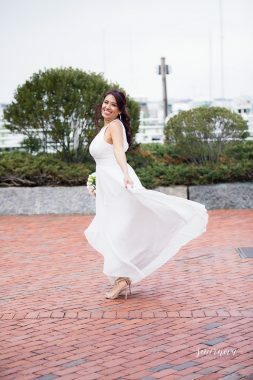 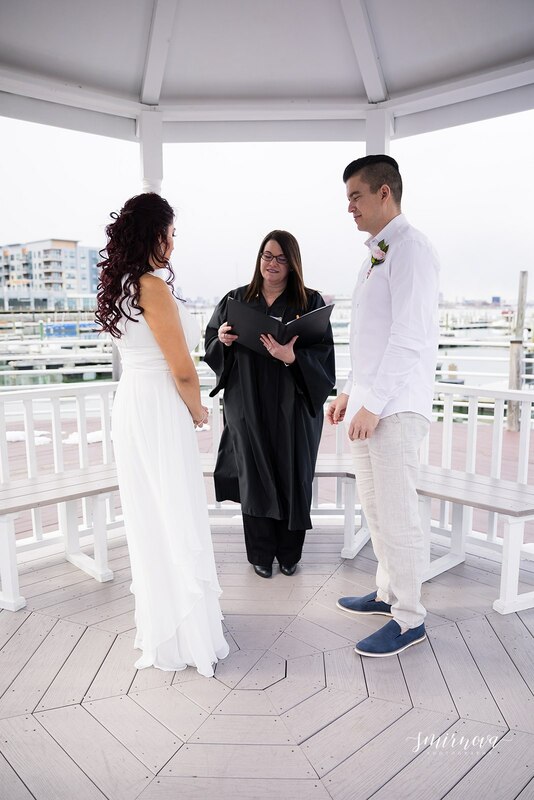 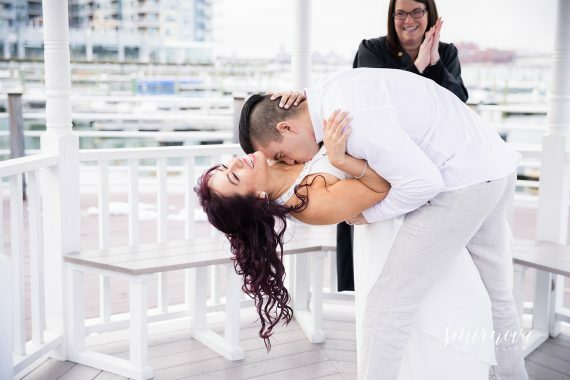 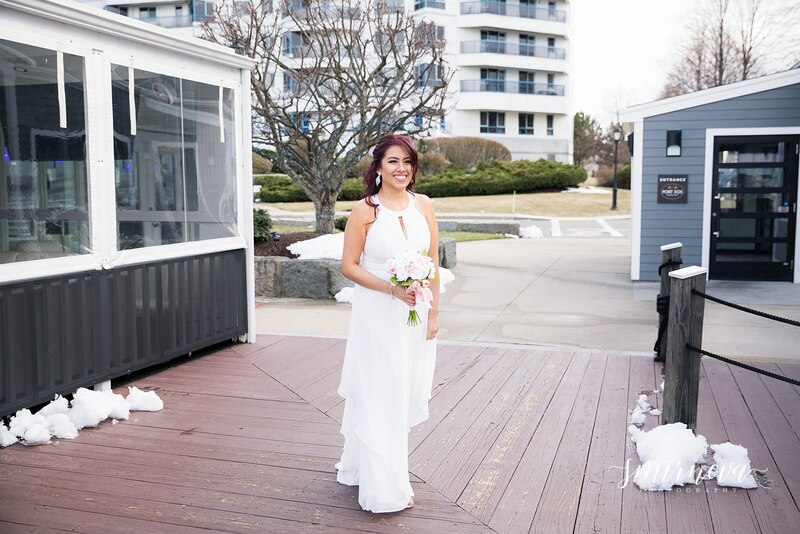 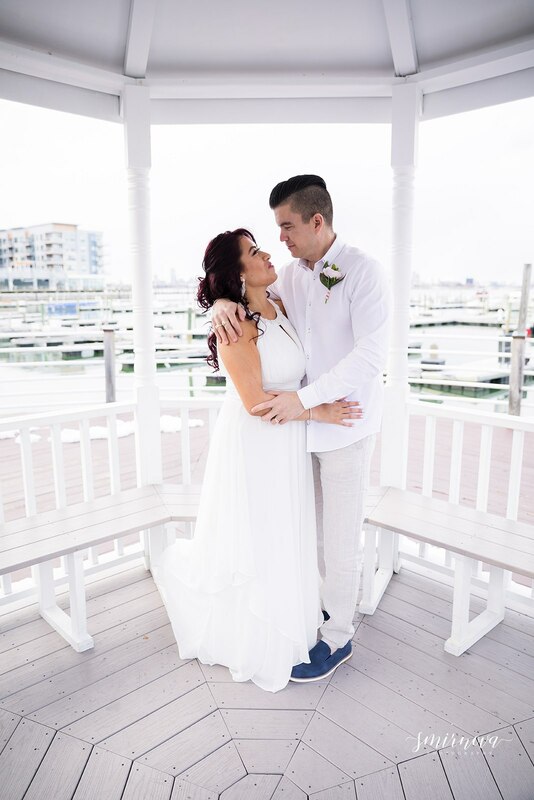 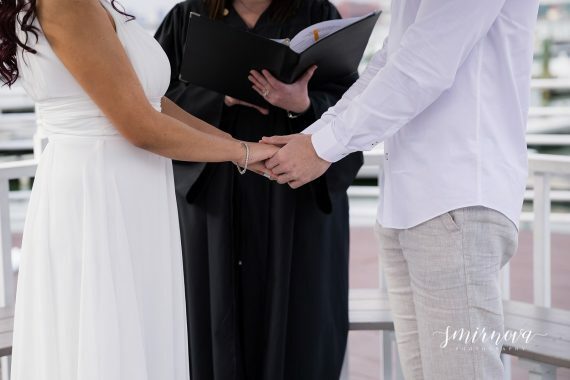 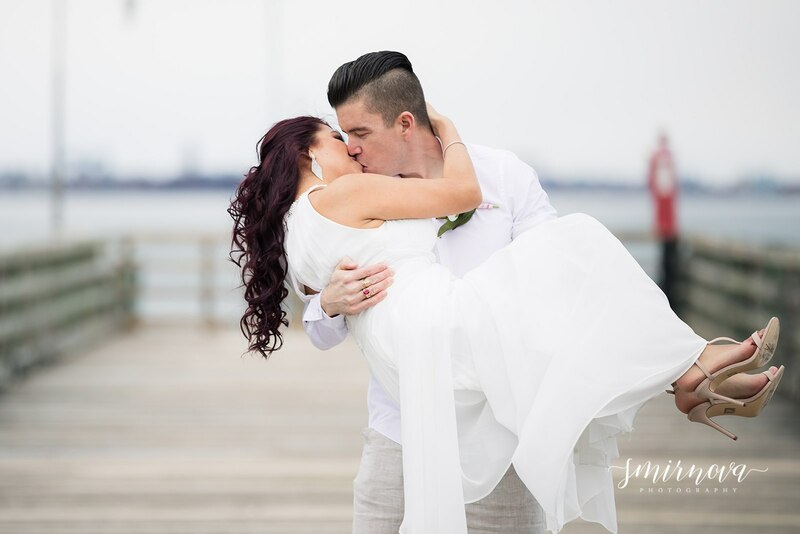 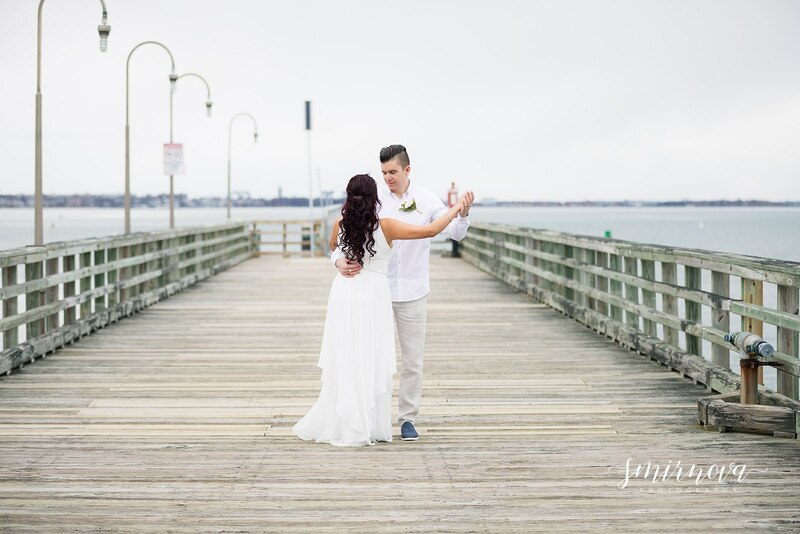 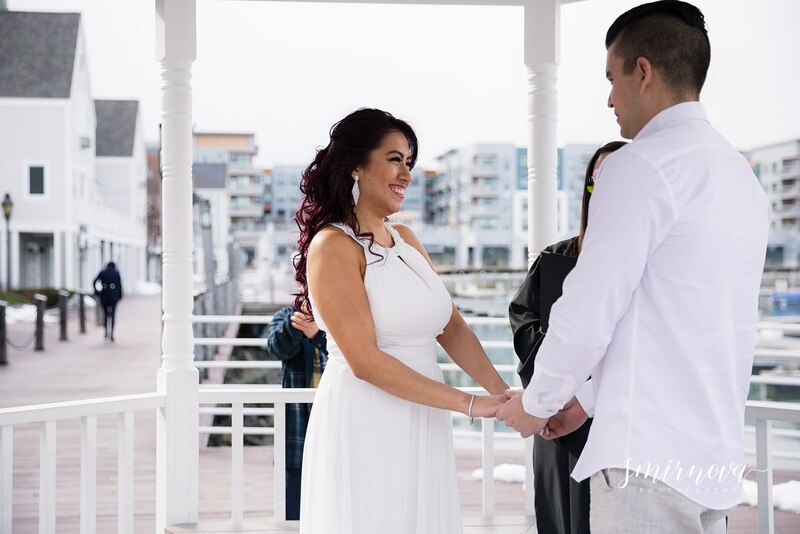 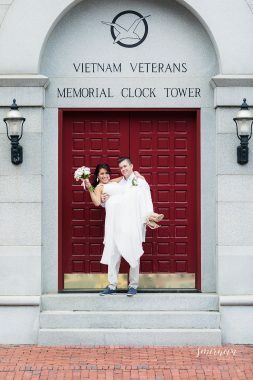 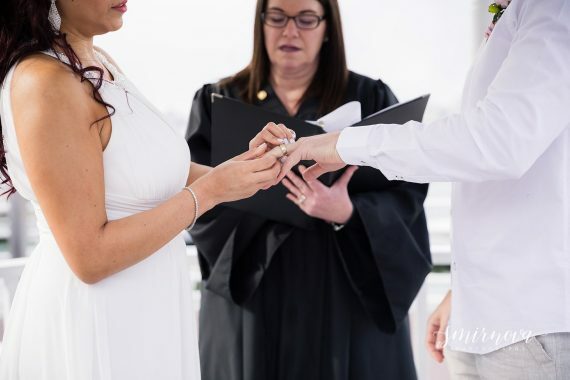 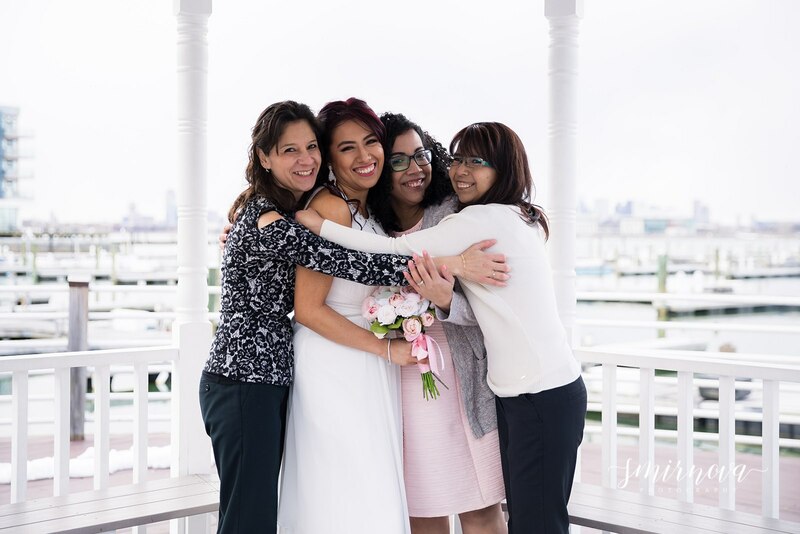 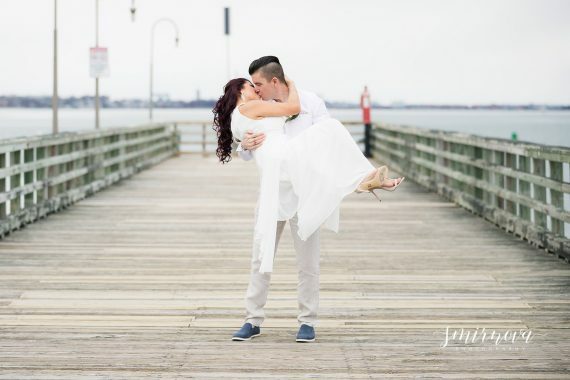 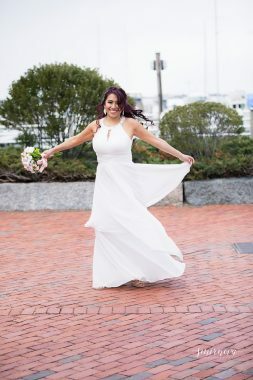 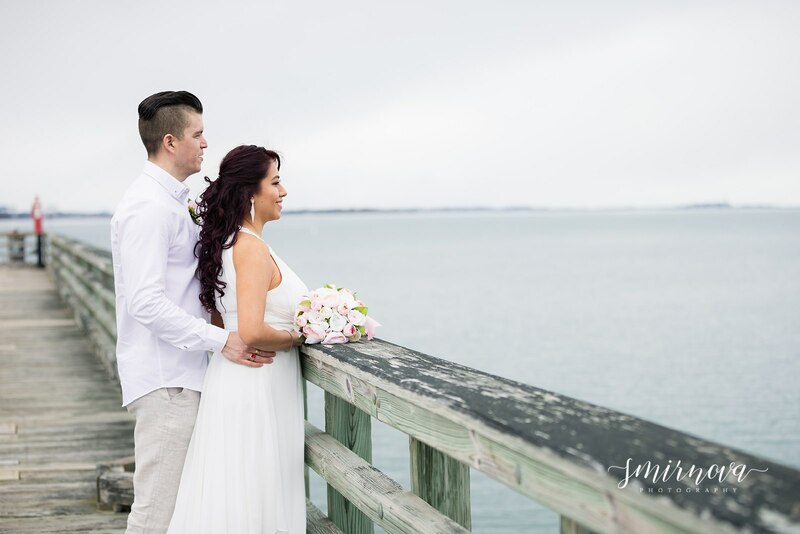 They wanted just a short intimate elopement along the Marina Bay in Quincy, MA and it turned out to be perfect. 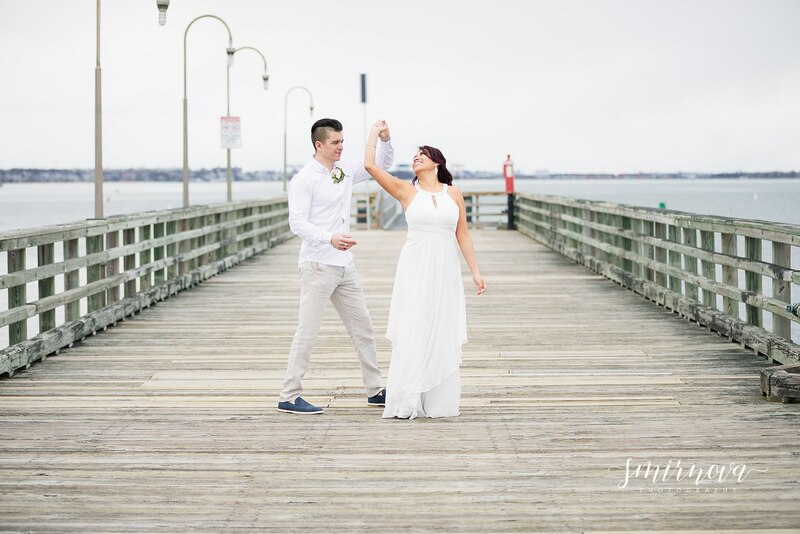 Afterward, we walked down to Squantum point park and took some more ocean view photos. I love how these photos turned out and I’m so happy to have been a part of their wedding. 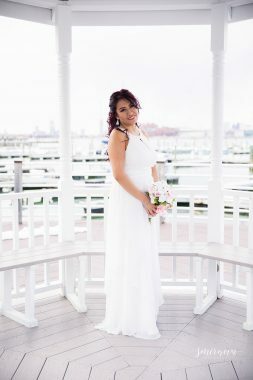 Another wedding I photographed can be viewed here!